Ok, so you are ready to jump in to your new business! Maybe you are starting a new project or even just laying out your holiday promotions. The best place to start is to visualize the aesthetics and “look” of what you are doing. For the sake of examples, let’s say that you are putting together a mood board for your brand. Get on Pinterest. Start a new board and call it whatever you want, I suggest the name of your brand. I have a board Design:Brands that I use as a springboard for inspiration. It’s a great resource and where I start when I’m working on a new project or brand. You are looking for colors, design, and an overall “look” that you are drawn to etc. Find your fonts. I LOVE Creative Market . It’s a great place for inspiration if you aren’t wanting to purchase a font, but they have GREAT fonts. If you are looking for freebie fonts, check out Font Squirrel, bonus: these are all fonts free for commercial use as well! Find your colors. A lot of times I have 1 color that I know I want, but then finding the others can be a task. I have been using Color Space and it’s perfect for finding LOTS of different coordinating and complementing colors. It gives you so many different pallets to go along with just 1 color that you will have no problems coming up with 4-5 brand colors! Open up Canva. 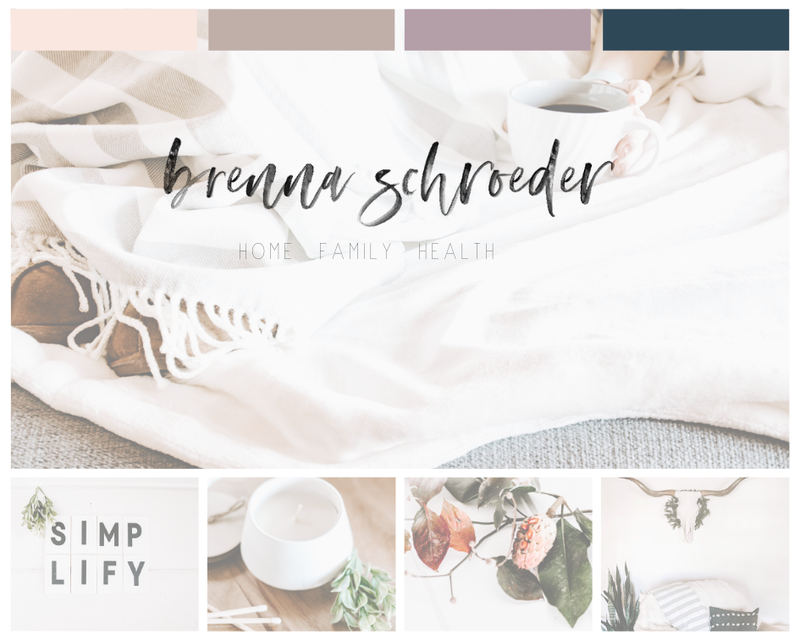 They have ready to use templates for Mood Boards that you can just drop your photos into that you found on Pinterest, add color blocks to add your colors and pop in some text. If you want to upload your own fonts, you can get Canva for Work (paid) and then use your custom fonts instead of just the fonts that Canva has, which there are some great ones there too and perfect place for beginners to start! So there you have it! You can easily get your brand/project board done on your own! Have fun! Here is a mood board I just finished for my personal lifestyle brand using these exact steps! All the photos are from the Paisley Barn Design Stock Membership!